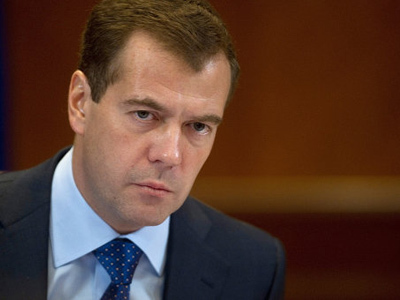 President Dmitry Medvedev has confirmed that Moscow is ready to serve as a mediator to resolve the conflict in Libya. 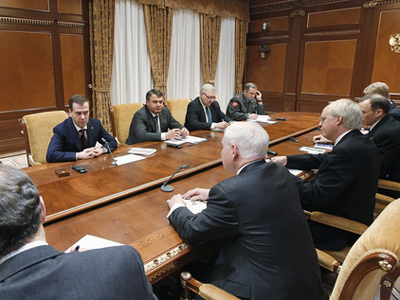 The statement was made during Medvedev’s meeting with US Defense Secretary Robert Gates in Moscow. The president has once again voiced his stance on the situation in Libya. 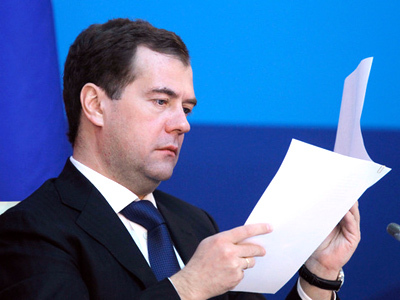 “Medvedev expressed his concern over the implementation of the UN Security Council resolution on imposing a no-fly zone [above Libya] and the possibility of casualties among civilians because of non-selective use of force by aviation,” the Kremlin press service reported. 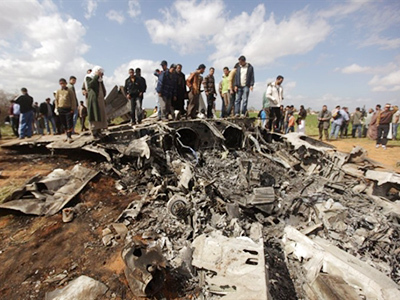 The UN resolution 1973, which was adopted on March 17, demands an immediate ceasefire and authorizes the establishment of a no-fly zone over Libya to protect civilians. Russia abstained in the vote on the document authorizing the use of force in Libya, but Medvedev amended the Russian legislation in accordance with the resolution, banning the sales of arms to the North African state and also refusing Muammar Gaddafi, his relatives and several officials from his close circle the right to enter the territory of Russian Federation. 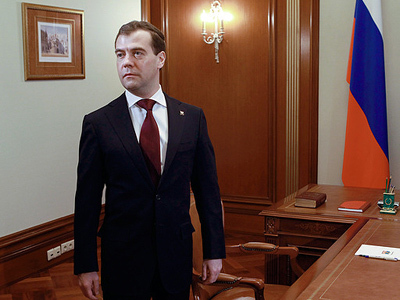 The closed-door meeting between the Russian head of state and American Defense Secretary took place at Gorki, Medvedev’s residence outside Moscow. Russian Defense Minister Anatoly Serdyukov, Presidential aide Sergey Prikhodko and American Assistant Secretary of Defense Alexander Vershbow were also taking part in the gathering. Earlier, Interfax, citing a source at the Kremlin,– reported that the sides would focus on “important bilateral issues of military-technological cooperation, security and defense in the context of the work done by the Russian-American Presidential Commission established in July 2009". Contacts between Moscow and Washington on missile defense plans were also expected to be discussed. According to the Kremlin source, Russia is ready “to work together with its partners to tackle common tasks and to protect the continent from possible missile threats and challenges if several fundamental conditions are met, including the presence of real guarantees that countries' missile defense potential will not be targeted against each other, as well as based on the principles of equality and indivisible security". 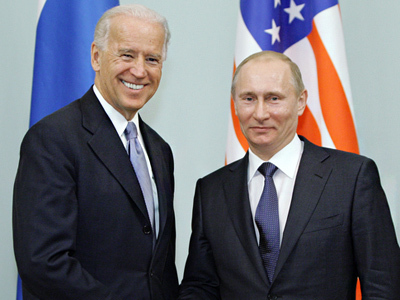 Among other topics on the agenda the Kremlin named major international problems related to security and stability. According to a statement issued by the presidential office prior to the meeting, the relations between Russia and the US “have reached a very high level, which is proved by the serious results of joint work in various spheres," cited RIA Novosti. The Kremlin pointed out that in addition to signing and ratifying the New Strategic Arms Reduction Treaty (START), Moscow and Washington managed to conclude bilateral negotiations on Russia's accession to the World Trade Organization (WTO). Besides that, the two countries launched “perspective cooperation in the hi-tech and innovation sphere” and signed an “agreement on cooperation in the peaceful use of nuclear energy” which has also come into force. 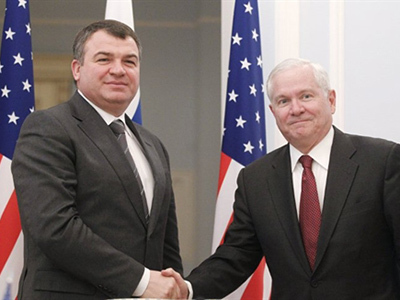 Earlier on Tuesday, Gates held a meeting with his Russian counterpart Anatoly Serdyukov, where European missile defense was also topping the agenda. In addition, the defense officials discussed Russian-American military cooperation and touched upon such tricky issues as the situation in Libya.